Tucker Taylor grew up outside of Jacksonville, Florida on a three-acre plot of land where he helped his father tend their garden each summer. Not thinking at the time that his passion could become a career, he went on to earn his bachelor’s degree in business administration with a focus on finance from the University of Florida. While there, he worked as a prep cook at a restaurant next to campus called Café Gardens, where he convinced the owners to give him a small stipend to purchase some plants and help clean up the landscape. He hung baskets full of flowers on the wrought iron fence, planted an elm tree for shade, and cleaned up the existing landscape, earning the restaurant the City Beautification Award. This experience sparked his initial interest in designing with plants. After graduating, Tucker began working at a bank, but quickly realized he would rather be outside gardening. He returned to the University of Florida to pursue a second degree in agriculture with a focus on environmental horticulture – a field that interested him with its combination of art and science, allowing him to be simultaneously creative and analytical. Upon graduating, Tucker moved to the Oregon, eventually settling outside of Portland, where he designed and managed his first organic farm. He later worked outside of Atlanta managing the production of specialty produce on another organic farm, before moving back to the west coast to take a job as a grower for Thomas Keller’s The French Laundry in Napa Valley, where he spent five years and redesigned the gardens across the street to be an extension of the restaurant. In 2013, he seized the opportunity to join Kendall-Jackson and redesign their famous culinary gardens. At Kendall-Jackson, he works hand in hand with the culinary team, scouring the globe for new and interesting crops to grow. Tucker loves sharing the garden with visitors from around the world and hopes to educate guests on the importance of fresh food – and inspire them to plant gardens at home. 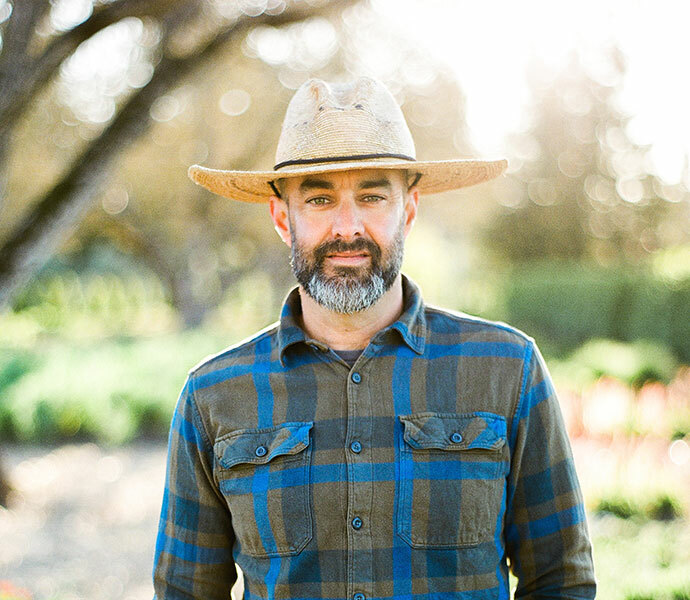 He currently resides in Healdsburg, California, where he tends to his bonsai collection and enjoys preparing dinner with fresh produce from his garden – and a nice bottle of Pinot Noir! Subscribe to our newsletter to stay up-to-date with Kendall-Jackson wines, future releases and events. You have exceeded the order limit.